CODE:NKFN1 Price 2400 B. Shocked Deal from 3450 B. 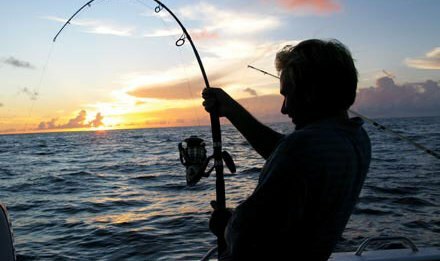 One of the world's top fishing destinations, Phuket offers tremendous opportunities to experience the thrill of big game fishing in a tropical paradise. Sandy beaches, crystal clear waters provide the launch point from which the deep sea angler can explore many species of fish that the Andaman Sea has to offer. Phuket enjoys an all year round fishing season with November being the month when the variety of fish are most abundant. 15.30-16.30 Pick up from your hotel and transfer to Chalong Pier. served on board, enjoy with fantastic romance sunset. 19.00-20.00 Enjoy with Sea food BBQ Dinner on board. 20.00-21.00 First drop at Keaw island for Bottom & Squid Fishing. 24.00 Arrive at Chalong Pier and transfer to your hotel. Please Note: this program may change without notice depending on tide and the weather condition.